With under a month to go to the Gary Corcoran fight, Jeff Horn has been sparring with none other than Michael Katsidis. The fight that has come to be known as the Battle of Brisbane, is scheduled to take place on the 13th of December. Although the main event is the Battle of Brisbane, the fight held between Katsidis and Horn is the one that is pulling in attention right now. The fight between 29-year-old Horn and former world titleholder Katsidis consisted of an intense three rounds. The fight took place on Monday in preparation for Horn’s much-anticipated fight against England’s, Gary Corcoran. The fight is set to take place at the Convention Centre in Brisbane. 37-year-old Katsidis is well known for his world lightweight title that he obtained in 2009/10. More so, he gained much popularity from defeating Juan Manuel Marquez in Las Vegas. Further, Katsidis is scheduled to be competing in a tournament in Toowoomba on Saturday night. The fight will be a Super 8 elimination tournament. 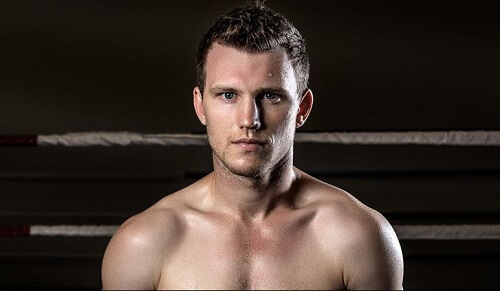 Horn, on the other hand, has scheduled four 12-round fights before the much-anticipated Battle of Brisbane. Corcoran, Horn’s 27-year-old opponent, is doing his own preparations. Corcoran is partaking in a 10-round slugfest on Saturday, whereby he will face David Avanesyan, Russia’s former world champion. The 27-year old plans to train in Melbourne for a week before taking on the overwhelming Brisbane heat. Overall, we at Pokies.com are very excited to see what the Battle of Brisbane will bring for these two fighters. We know for sure that our sports bettors are waiting in anticipation for what is to come. For more of the latest trending casino news stay tuned to Pokies.com news page.